Listen hoomin. You're fooling yourself if you think I'm coming out for a simple piece of kale that you dangle just out of reach. Bring me the good stuff and make it snappeh! Well spoken, Tufsy. 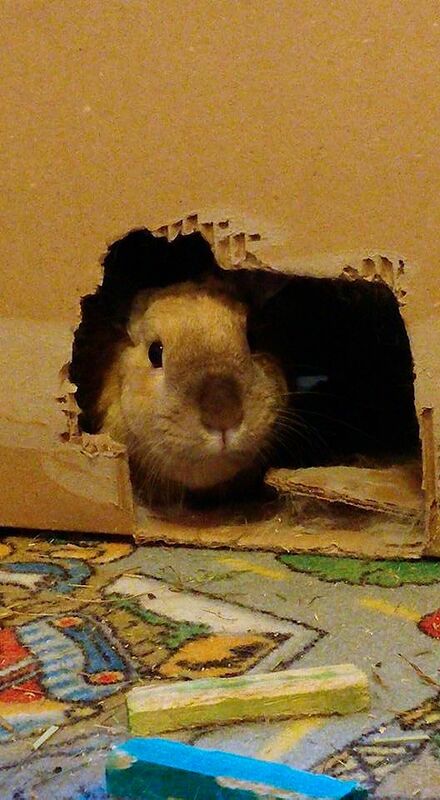 BTW - nice bunnstruction there. I never stir for kale either, Tufsy. You hold out for some delicious fruit. It seems that bunnies really are natural engineers at heart, and for all of that hard work, you offer a dinky leaf of kale?? Working bunnies need fruit!